The Hokkien in me craves for this awesome local dish! If you like your noodles non-soggy, this is the Hokkien Mee you will rave! For those who appreciate spicy food, the Sambal chilli has a Nonya kick! 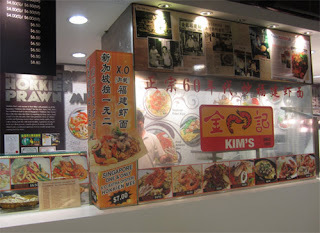 Kim's Fried Hokkien Prawn Mee is one local hawker that has my respect. They are established with about 50 years of history, evolved with times by creating new products and business acumen to expand their business. Tucked at the corner of private estate along busy Jalan Eunos, it is hard to miss this shop with huge sign board! the standard of original branch at Jalan Eunos is so much better. 1. 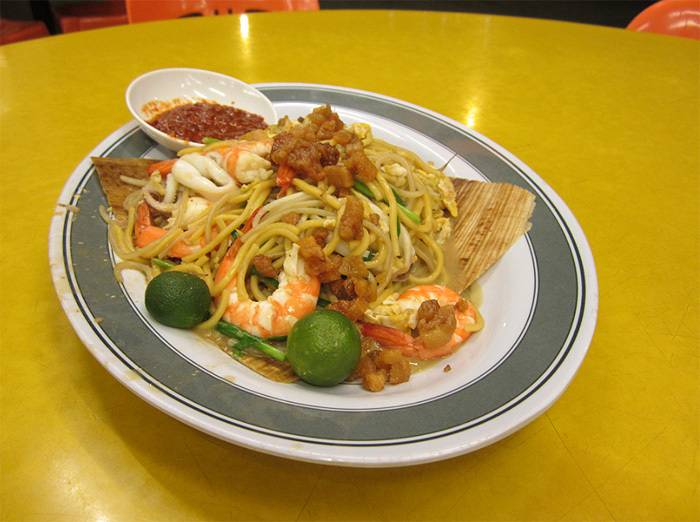 Original Fried Hokkien Prawn Mee - This is the way noodles should be fried to retain the chewy texture! 2. X.O. (Extra Oyster) Fried Hokkien Prawn Mee - for Oyster lovers! Generous with crispy fried pork lard! Simply love the kopitiam al fresco sitting. To stay slim, I like to keep my dinner light. 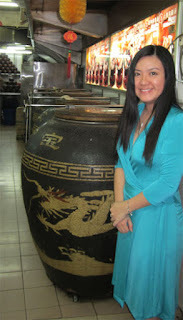 Very happy to find a place which serves traditional chinese herbal soup with home-cooked feel. Their black bean pork soup taste exactly like my mum's. Boyfriend and I ordered a soup, a fried dou-miao and 2 rice. Total about S$10. Definately a gem for the gourmets who are health and cost consious! They serve variety of tasty nourishing soup. Benefits of the soups are explained. 1. Duck Soup - Rare find! 2. Black bean pig tail's soup - Source of protein, especial good for kids. 3. Fried Dou-miao - Healthy, crunchy. Goes well with the soups. 4. 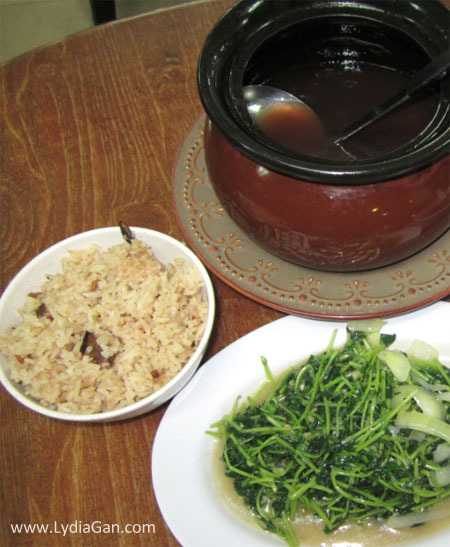 Mushroom rice - Perfect compliment to their soups. Must try for chinese soup lovers! Spacious kopitiam well-equipped with ceiling fans to cool the guests. Do go early to enjoy more choices. Yesterday when we were there, business is so good, only 1 type of soup left. 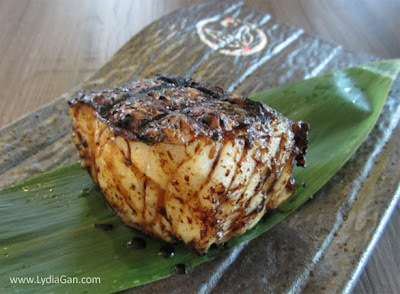 Grilled cod fish at Cornerstone. Must try!!! 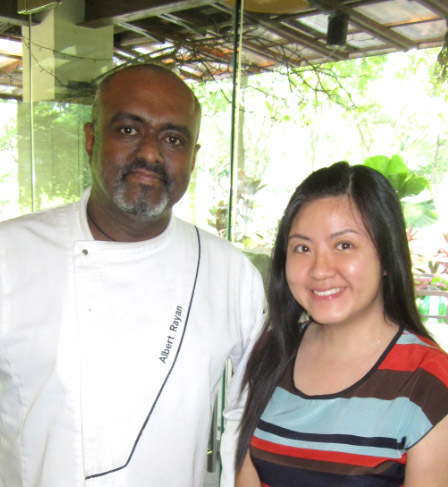 Cornerstone is a new restaurant in tranquil Bishan Park. The garden concept makes it an ideal place to chill out and dine with loved ones. What impresses me is the owners put an extra effort to make this place elderly, kids and pets friendly. As such it is an ideal place for gatherings. 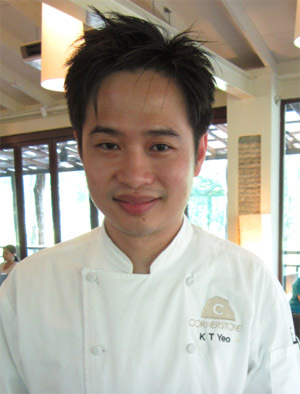 Owner, chef Yeo Kian Tong, graduated from Le Cordon Bleu Culinary Arts and is a winner of Gourmand World Cookbook Award (Best Chinese Cookbook Singapore). He is the pride of Singapore and believes in serving quality western food at affordable price. We have known each other for years and always wanted to run a cooking class together. Hence Clique Wise had a Lobster Bisque cooking class at Cornerstone today. I am a soup person and hopes to cook Lobster bisque. Lobster bisque is a complicated and delicate dish to prepare. The thought of handling the lobster is enough to scare most of us. But chef Albert Ryan of Cornerstone made it easy for novices like us to learn. In this video, he demostrated how to cut the lobster with great ease. By cutting the lobster across, we could retrieve the flesh for frying, or just grill, bake and steam it like this. Chef Albert Ryan taught us how to cut lobster. he shares his knowledge generously. Singapore’s humid and sunny weather increases sweat production and cause the scalp to feel greasy. Through my conversations with some youthful looking mature men with healthy head of hair, I discovered they have the common habit of shampooing their hair only once in two days. To keep it clean, they rinse their hair daily. Avoid harsh skincare products which can cause skin irritation, accelerate skin aging and make it look leathery. In order to choose the right skin care, identify your skin type and use suitable products. Your skin should feel clean not tight, itchy or dry after cleansing and toning. When you feel your brows are knitted together due to concentration, pinch your brows lightly to reduce stress and prevent vertical lines formed between the brows. Pinch the brows in an outward direction. When our lips are dry, we are tempted to lick it. This dries the lips further as saliva removes moisture. Apply lip balm instead. Carry it with you and apply it whenever you feel the need to hydrate your lips. If you can take it, cold shower water tones the body and activates the lymphatic system. Engage your brain regularly– learn a new language, pick up new hobbies or read more books. It will brighten your thinking, up your mental abilities, empower you to react fast and prevent memory loss. Physical exercises strengthen your body. Likewise, mental exercises benefit your brain. Youthful looking people has open, optimistic outlook and keep their energy high by interacting with others. They enjoy talking to people and the chatting makes them more relaxed and joyful. Get social regularly to stay cheerful. You get to make new friends, stay in touch with old pals and family too!